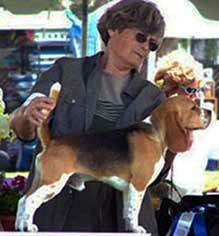 We have raised five generations of conformation show beagles and two generations of brace field beagles. The goal of all of our breedings is to produce sound, healthy, happy, confident puppies of consistent type. We encourage participation in competitive events and other beagle activities.